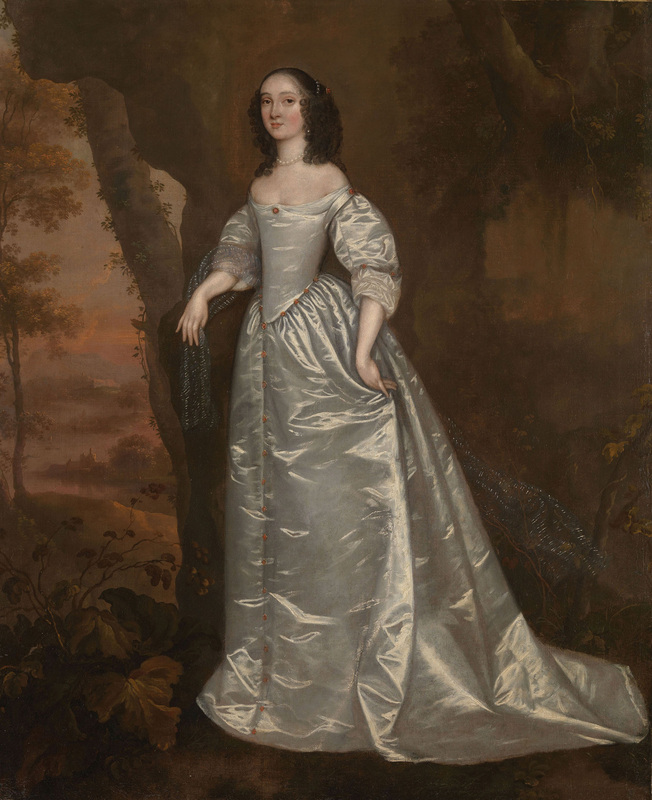 Following extensive ongoing research to enhance the representation of women artists across British art history, Tate has acquired a rare painting, Portrait of an Unknown Lady 1650-5 by Joan Carlile (c. 1606–79), thought to be the first woman in Britain to work as a professional portrait painter in oil. The portrait is one of only a small number of surviving works known to be by the artist. This new acquisition is the earliest work by a woman artist to enter the collection. In Graphice, The Excellent Art of Painting, Sir William Sanderson’s 1658 survey of the contemporary artistic scene, he records only four women artists working in oil at that time and Carlile appears first in the list, suggesting that she was then regarded as the most important. The unknown sitter’s pose and elegant white satin appear in two of her other known portraits. This repetition of a composition lends weight to the notion of Carlile as a professional artist. In 1653 her neighbour Brian Duppa noted that ‘the Mistress of the Family intends for London, where she meanes to make use of her skill to som more Advantage then hitherto she hath don’ and in 1654 Carlile is recorded as living in London’s Covent Garden, then the heart of London’s artistic community. Joan Carlile was born as Joan Palmer, the daughter of William Palmer, an official in the Royal Parks. Carlile copied the works of Italian masters and reproduced them in miniature. She was also an accomplished painter in her own right. In July 1626 she married Lodowick Carlell or Carlile, Gentleman of the Bows to Charles I and a poet and dramatist, who, as keeper/deputy ranger at Richmond Park during the Commonwealth period, had accommodation at Petersham Lodge, which was demolished in the 1690s by Lawrence Hyde, Earl of Rochester. The couple moved to Covent Garden in 1654 but returned to Petersham two years later after the restoration of the monarchy, when Lodowick was given the post of “Keeper of the house or Lodge and the Walk at Petersham”. They returned to London in 1665. Lodowick died in 1675 and was buried in the churchyard of Petersham Parish Church (which was then in Surrey and is now in the London Borough of Richmond upon Thames). Joan, who was then living in the parish of St Martin-in-the-Fields, died in 1679, and was buried beside her husband on 27 February. They had two children, James (who was married to Ellen; they had two sons, James and Lodowick) and Penelope (married to John Fisher, a lawyer of the Middle Temple).